Russia rejected as “propaganda” on Saturday renewed Turkish charges that its fighter jets had crossed Turkish territory. NATO asked Moscow to respect its joint airspace. A promontory of Turkish territory sticks down into northern Latakia, and it would be very difficult to conduct the sort of bombing raids in which Russia is engaged without occasionally crossing it. In any case, likely the complaint from Turkey is actually about something else. 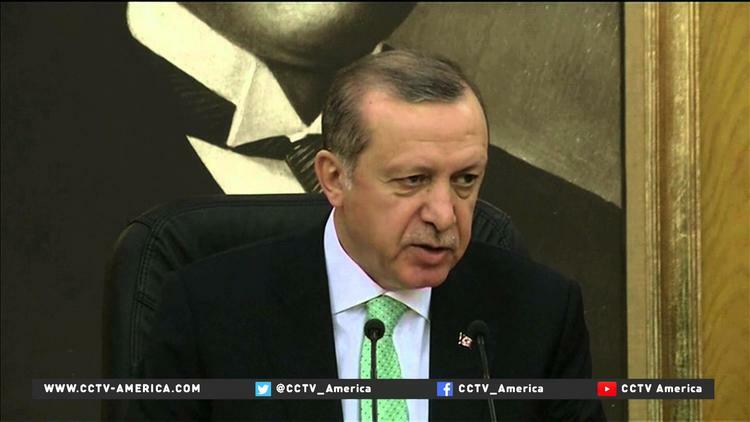 Ankara must be upset that its proxies in Latakia Province have been destroyed or disrupted. This week the Syrian Arab Army of the regime, with the help of intensive Russian bombing, took all the Turkmen strongholds in northern Latakia Province, including the holdout city, Rabia. As a result, some 600 Turkmen are said to have crossed the border from Syria into Turkey. 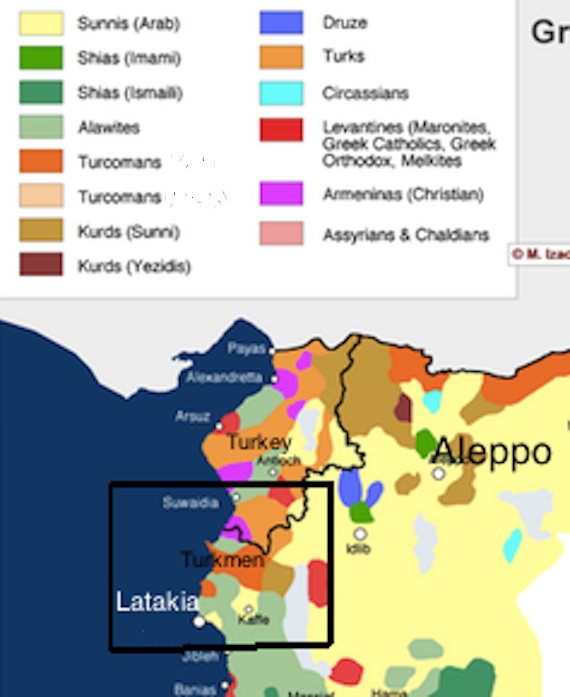 Turkmen speak a language similar to that spoken in Turkey itself to the north, and immigrated into Syria from Central Asia in the medieval period. The Turkmen in northern Latakia Province had been evenly divided between those who acquiesced in regime rule and those who had joined the revolution. Some of the latter had been tactically allied with Salafi Jihadi (radical vigilante) groups such as Ahrar al-Sham or Freemen of Syria and the Nusra Front (the al-Qaeda affiliate in Syria). The Freemen of Syria is widely thought to receive support from Turkey, as are the Turkmen fighters. These groups have been subjected to intense and indiscriminate Russian bombardment, allowing Syrian troops to regain this territory. Some of those fleeing fear reprisals from the bloodthirsty al-Assad regime. In essence, Russia had defeated a prime strategy of Turkish President Tayyip Erdogan, involving the taking of northern Syria by fundamentalist militias and ultimately the fall to them of the key port of Latakia, at which point the regime would have been finished. Ankara is frustrated, and the only purchase it has on Russian intervention is the complaint of airspace violations, given the dicey legal status of Turkish intervention in Syria and the unsavory alliances Turkish-backed groups have sometimes made.